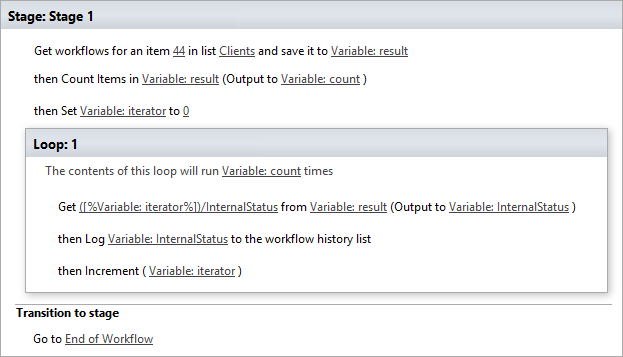 Stops a workflow on the specified list item. Gets workflows that were run on the specific list item. Stops a site level workflow. Get workflows that were run on the site. 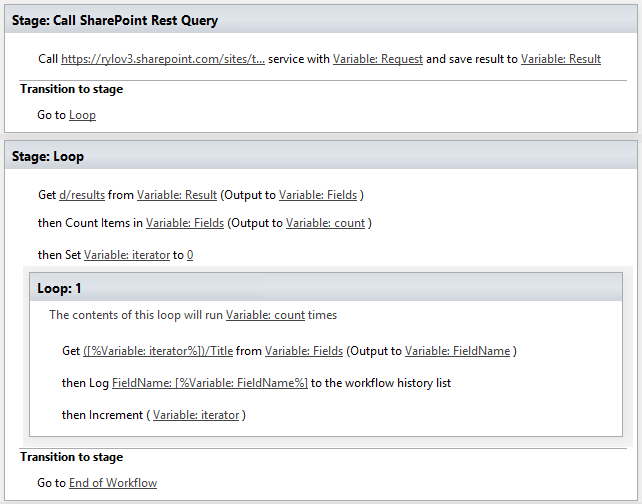 The action simplifies using of SharePoint REST API it automatically setup HTTP header and adds form digest. Evaluate mathematical expressions and save result to Dictionary with Resultas key We use NCalc framework as mathematical expressions evaluator. You can use it to evaluate logical or arithmetical expressions. For example 2 * 2 or if(3 % 2 = 1, true, false). This workflow action can help you to calculate complex formulas as well as evaluate complex logical expressions. The workflow action receives XML string and convert it to a Dictionary. 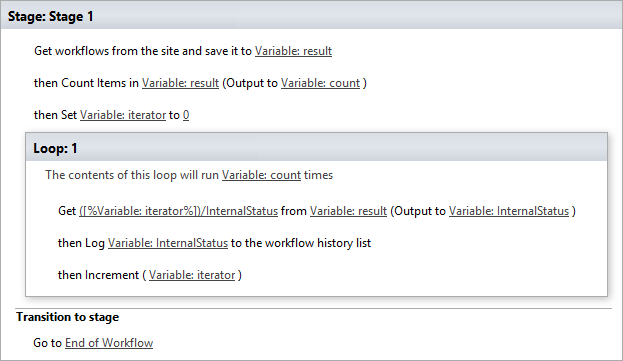 The workflow action receives HTML string and encode it. The workflow action receives JSON string and convert it to a Dictionary.